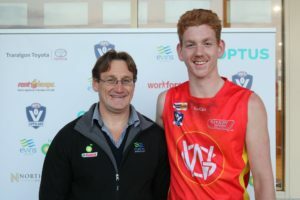 The Alex Scott & Staff West Gippsland Football Netball Competition’s under-16 and under-18 representative football teams participated in the Evans Petroleum Cup for the second year at Yinnar Rec Reserve. The Under 18’s coaches by Shaun Sparkes played a tough brand of football in their 3 games. 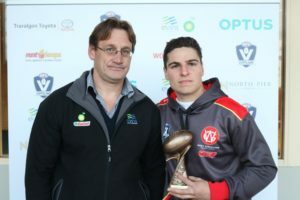 The under 18’s played a great carnival knocking over both Ellinbank & District Football League and eventual champions the Gippsland League, with a close loss to North Gippsland FNL costing WGFNC the championship to Gippsland League who had strong wins in their other two encounters. 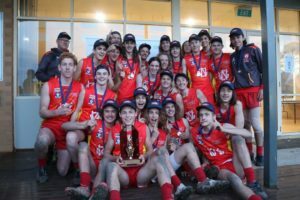 Brendan Hickman’s under 16 team went one better going on a 4 game undefeated run with wins over, Ellinbank & District, Mid Gippsland, Omeo/East Gippsland and Gippsland League to take out the 2018 Evans Petroleum Cup. Congratulations to Brendan and all the boys on their efforts.